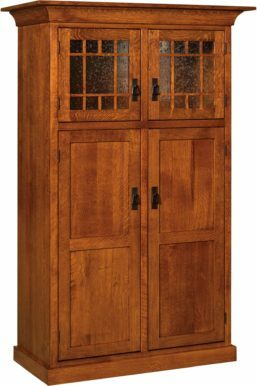 We offer six types of cabinets: Curio, Wine, Jelly, Leaf Storage, Pie Safe and Kitchen Cabinets and Pantries. They’re all Amish-made, custom-crafted and solid hardwood. And each unit is superior to what you’ll find in most big box stores and chain furniture stores. Check out our awesome collection. The six types of cabinets in our vast collection serve different functions in your dining room, kitchen or living room. Curio Cabinets serve as a practical and elegant way to store and display china and dinnerware. Plus your cherished figurines or heirlooms. 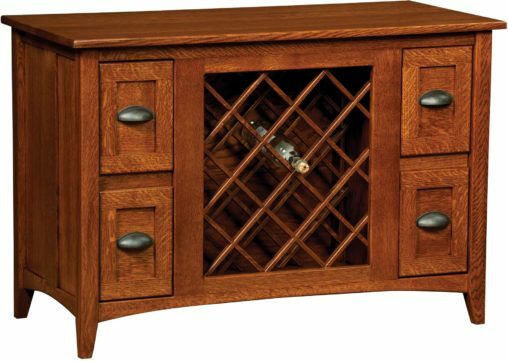 Our Wine Cabinets provide storage for wine bottles, wine glasses, as well as bottle-openers and accessories. Also, homeowners love using Jelly Cabinets to store their freshly made jams, jellies and other preserves. Plus we created Leaf Storage Cabinets to keep your unused table leaves. Also, they can double as a serving buffet. As its name suggests, Pie Safe Cabinets provide room for baked goods to cool off and let their delicious aroma permeate the dining room. Finally our collection of Kitchen Cabinets and Pantries includes storage solutions for your packaged foods, canned goods, linens and the like. 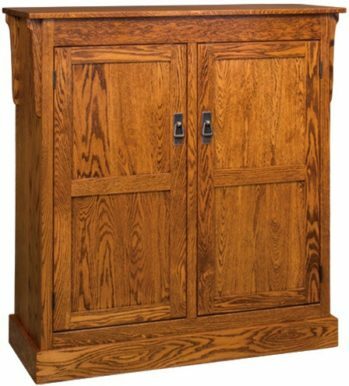 Amish craftsmen custom-make every unit. And they use the finest regional hardwoods, plus meticulous attention to detail. 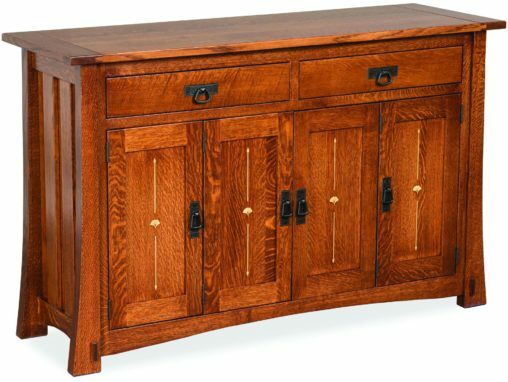 This attention to quality results in our cabinets being more than beautiful and timeless pieces of fine furniture. They’re durable as well. And with the proper care, each piece of fine furniture will become a treasured heirloom for future generations.